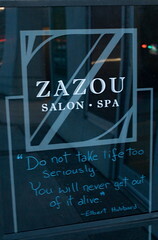 I have been going to the new Zazou Salon & Spa once a week all month (I go again today!) 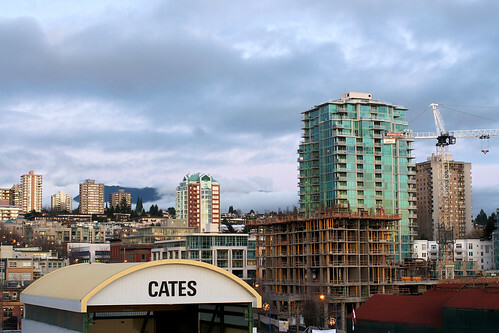 here in North Vancouver. Located in Lynn Valley in the complex that surrounds the new North Vancouver Library, Zazou has a gorgeous space with floor to ceiling windows around two sides of the building. I was invited out to the salon about a month ago for a facial and a massage. Although I get massages regularly, there’s quite the difference between a massage and massage therapy. 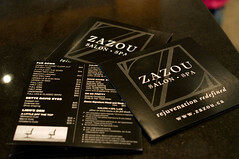 At Zazou, they have Registered Massage Therapist who can do the deep therapy, but also the more relaxing stuff. I had a combination of both, which was quite the treat. The spa takes up 3 rooms in Zazou, with it’s own calm reception area. The treatments all start off with a comfy robe, a beverage if you wish, and a nice foot soak. For both the massage and the facial you get to choose your scent experience. 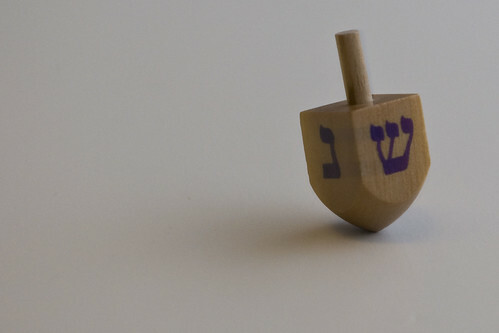 They started using some Aveda products last week that are quite relaxing. Facials are newer to me, only had a few before, but after my experience that first day at Zazou, I immediately signed up for a full series (3 more). Aside from how relaxing the entire experience is (the calming process, the various massages, and just the ‘me’ time), it’s done wonders for my skin. I’ve had a lot of skin issues over the years, and the last few months had been a bit worse for me. Now it’s all starting to clear up, which is fantastic! I even bought some of the Comfort Zone products to continue using at home. 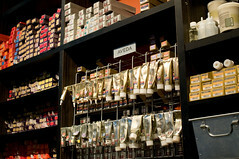 Most of the products used in both the salon & spa are naturally-based, many fair trade and organic. I’ve been quite the regular face around Zazou this month, and now that I’m due for a hair cut, I’m planning on booking one today from the salon. May as well try out all the services! Oh, they have a gorgeous pedicure section too, which I plan on using next time I’m due! I’ve had the pleasure so far of seeing Lori for my skin and Scott for my massage. While at it, I would also love to recommend the servicecs from the North Shore Wellness Center, where I’ve been treating my injuries and issues for over a year now (with great success!) with the help of both Philippe and Shawn. 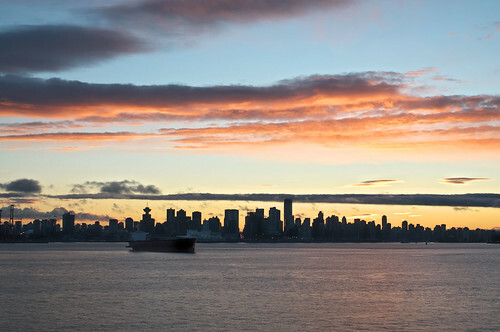 We’ve spent the last few weeks enjoying our coffee from Moja Coffee in North Vancouver. We’ve pretty much been living off their coffee since we discovered their cafe – highly recommend it if you are ever in North Van (though sadly they’re not open on weekends). I just posted a review on Vancouver Coffee – check it out here.